I said top ten but this is basically all of my baby items besides carseats! I’m fairly minimalistic when it comes to infant stuff, even with Luke’s toys; I never even bothered to buy a changing table and we didn’t purchase a crib for Luke until he was 6 months old! So, when you get pregnant you don’t need to go out immediately and spend a bazillion dollars on everything your little one will need from birth to 18 years old. Wait to buy things as the needs arise; for example, wait to buy the high chair until they’re 6 months old and start solids! No need to cram that into your budget just yet, take your time and keep an eye out on craigslist for something you really want. DockATot Deluxe+ Dock (Pristine White) – The All in One Baby Lounger – Perfect for Co Sleeping – Suitable from 0-8 Months (Pristine White) This is what I consider my “splurge” item even though I used a 20% coupon on AlbeeBaby for it. Out of sheer necessity, we coslept with Luke but I didn’t sleep well because I was terrified we would roll over on him or suffocate him somehow. And ‘sleeping’ in a semi-awake state really isn’t sleeping at all, haha. So this time around with Emma we got a Dockatot. This thing is a total game changer! It’s completely breathable, I’ve stuck my own face in it to be sure, and snuggles the baby as if they’re in the womb. We use it in our king size bed and there is still a lot of room for Robert and I. Considering I could never lay Luke on anything it’s amazing to me that I can safely put her to sleep in there and she’ll stay for hours! It also has great resale value so if it doesn’t work for your family you can easily get your money back or even buy used from the start and save some money that way. Solly Baby Wrap My goodness, I love this thing for two kids. I didn’t wear Luke too much, partly because he didn’t like it and partly because I didn’t really need to. I’ve tried a moby but it was way too thick and after a little bit the baby would start to sag in it as the fabric got stretched from the weight. The solly is made from thinner, less stretchy fabric and is amazing for hot weather! The fabric is extremely high quality so the resale value of this baby product is also really great. Baby Jogger City Select one of my favorite features about this stroller is that it can be a single or a double! It has many different seating arrangements, doesn’t take up more aisle space than a single and is very easy to maneuver. Fawn Design Diaper Bag I can’t say enough good things about this diaper bag! I’m not an over packer but I’m not light either, I like to think of it as a happy medium. I can easily pack for three kids if I needed to! It can be worn as a backpack, messenger or shoulder bag. It’s vegan leather on the outside and in so it doesn’t need to be treated/babied like real leather; it’s meant to be easily wiped down both inside and outside! I would definitely purchase this again. Stokke Tripp Trapp I know, you’re looking at the original price of this going “HOW CAN YOU JUSTIFY BUYING THAT? !” because that’s exactly how Robert reacted! Again, I’m crazy frugal but also want stuff that will last me forever. I knew from the beginning that this was my ‘dream’ high chair for Luke, but I didn’t think I would ever actually get one. Until this beauty popped up on the local craigslist. For $20. I know, I was pretty excited too! I snapped it up as fast as I could and it’s been love ever since. 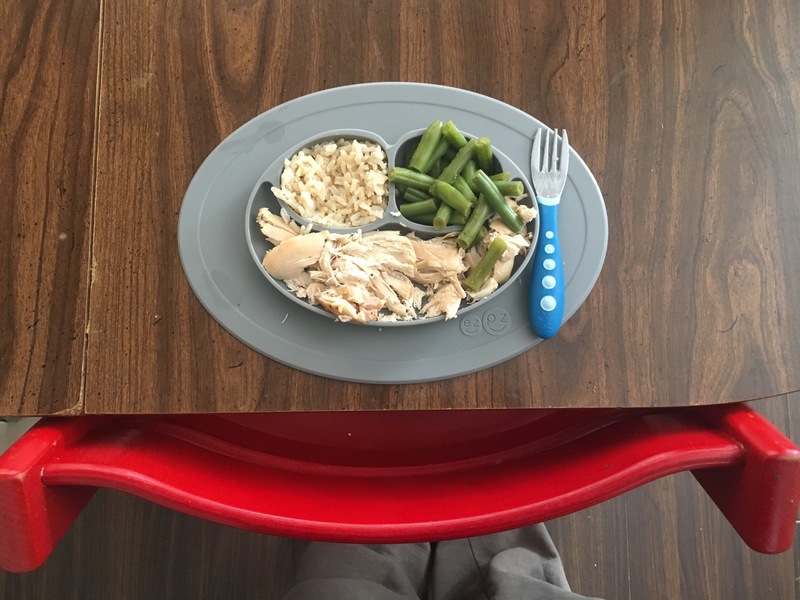 Luke thinks it’s the greatest thing in the world and loves to climb up into it and eat at the table like a big boy, but I especially love that this will grow with him and we’ll get to pass it down the line. EzPz Mini Mat At first Luke couldn’t get this off the table and now he doesn’t even try! I originally bought it as a move towards less plastic in our house but this is something I’ll be buying again when Emma starts solids. Pura Kiki This is a food grade stainless steel, indestructible sippy cup. We’ve tried so many and this is definitely our favorite! My BrestFriend Pillow This pillow saved my nursing relationship with Luke. He kept wiggling and falling through the center of my pillow which would make his latch painful. The MBF allows me to have better posture and puts the baby in a better position! I used it every day with Luke until he weaned at 16 months and I am now using it with Emma. It gets a lot of use around here! 4Moms Mamaroo We had the traditional swing with Luke and he hated it! We had bought it super cheap and ended up selling it before one of our (many) moves and eventually bought this mamaroo second hand before Emma came along. Luke personally thinks this thing is amazing and will attempt to pull his sister out so that he can go for a ride! Emma likes it as well and I really like how light it is and how little room it takes up in my house. Covered Goods Multi-Use Nursing Cover Luke used to be able to kick the cover off so I’m very thankful this makes it impossible for Emma to do so! I also use it as a car seat cover, scarf and to go over the shopping cart when the time comes. I love to be minimalistic and frugal, but I also look for high quality with high resale values because that tells me people love it, get a lot of use out of it and it’s going to last me through more than one kid. If it’s in my budget I try to purchase things brand new and from small US based shops, but if it’s not then I buy used off the Facebook BSTs! I have saved so much that way. Hi Katie, I came across your post on Instagram this morning, which was super timely for me because my husband and I are expecting our first baby in August and we’ve just started our registry! I already had the Dock-A-Tot and Solly Baby Wrap on the list, as I consistently hear great things about them, and I appreciate you sharing your other favourite items as well. 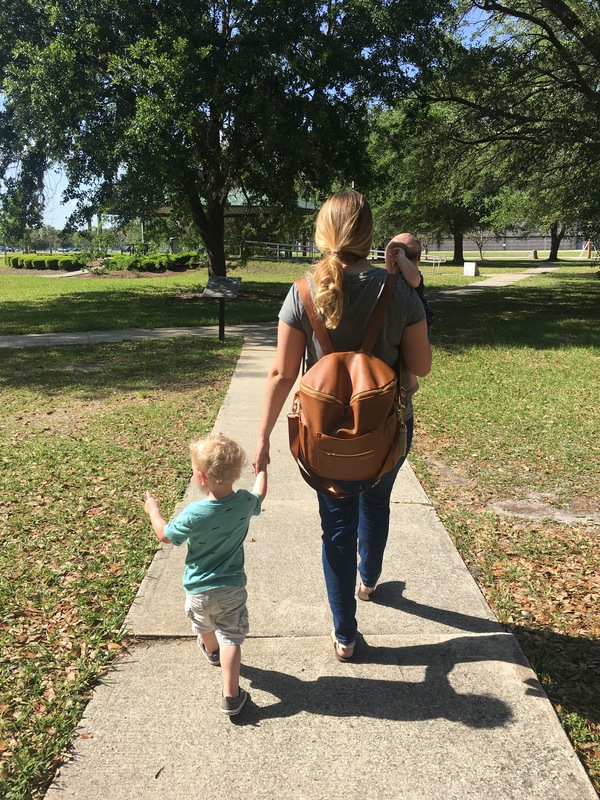 Hearing from other moms about what they actually need and use is so much easier than starting from square one! I’m so glad this helped you! And congratulations on your new little blessing! !